Live Creating Yourself. : Nice and neutral. I've been going back and forth with how to decorate my new apartment. I've played it safe by buying neutral furniture pieces (most of them used - I love you CraigsList) and I made the obvious choice of painting the walls grey (who's not surprised? ), but in terms of adding some color, I remained confused as ever. Some days I like blues and greens. Other days pale pink. Always yellow. But I have big plans for my grey and yellow office. But when it came to the living room/dining room combo, I was stuck. 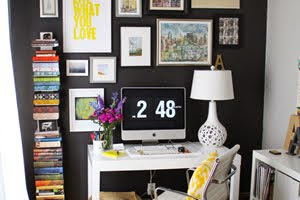 Then I kept seeing neutral rooms on blog after blog after blog... and realized, "Yes. 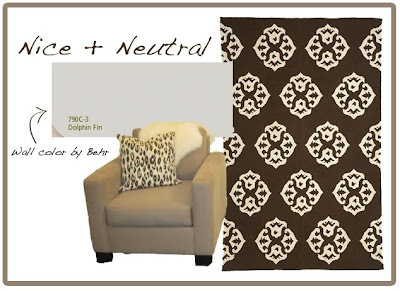 Stick with neutral." If it's not broke, don't fix it, right? 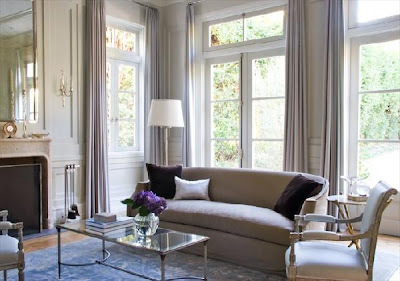 The space will include various hues of brown, taupe, grey, and white, with pops of color coming and going in the form of holiday decorations, flowers, and throw pillows. So with the following images in the back of my mind, I am hoping to make an inviting and relaxing space great for both entertaining and cozy movie nights with my boy and the puppies. Elegant and simple. 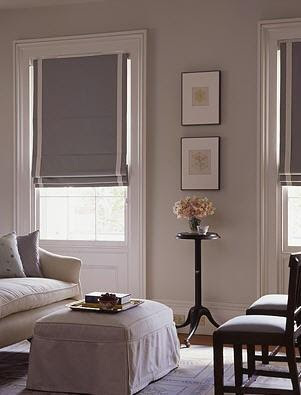 Great window treatments. Love the natural wood elements in this room. Must find and acquire immediately. A grey (faux?) fur throw just like the one I purchased not too long ago... perrrrfect. The couch and chair I'll be using have similar coloring to the seating in this photo. 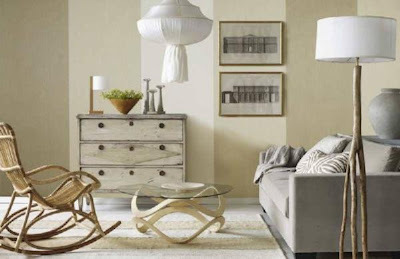 My West Elm couch is a cream/beige (you'll see below) and the chair is off white. Love the artwork in this photo. And the bar. Double inspiration in one shot. Shnazzy. 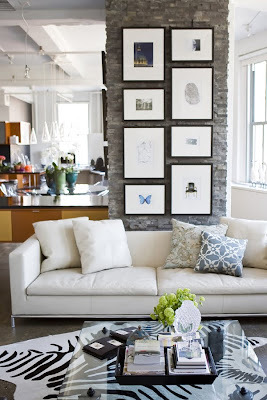 Will hopefully get a lucite coffee table similar to the one pictured here. Fingers crossed! So here is the room... and yes, I am referring to the brighter room with the bay windows and awful ceiling fan/lighting fixture combo. The space in the foreground will be the dining room. And here is a tiny peek of what the room will look like! I don't actually own the chair pictured (it belongs to my friend), but I own the couch version of it in that same color. I bought it along with the Andalusia rug off CraigsList for an uber good deal. The charcoal, animal print pillow and fur throw are mine, both of which I plan on using on the couch. The wall color is Dolphin Fin by Behr. The inspiration photos are pure class! I can't wait to see the finished room. Are you going to satisfy your changing color preferences with pillows, etc? My great room is mostly neutrals too. 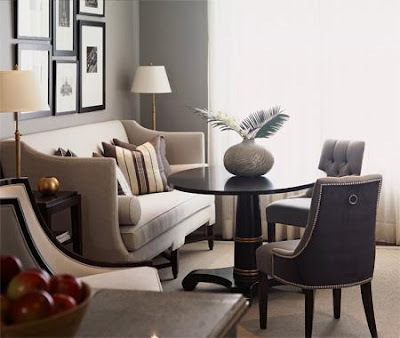 I bring in color with accessories, but I enjoy the flexibility that a neutral room provides. I plan to someday paint the walls an actual color, but I've put it off because I love to change things so often. 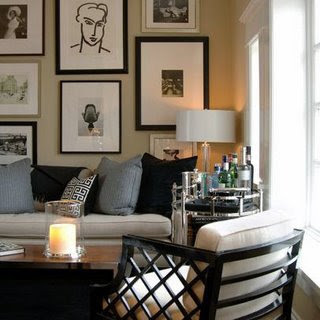 I think you will be very happy with your choice of neutrals-and you can always add a vase, pillows or some prints with your favorite color of the moment. OH what a beautiful home it shall be! Hooray! I think the elements of your room are going to look great. I can't wait to see it all come together. I too decorate with neutrals. So easy on the eye. 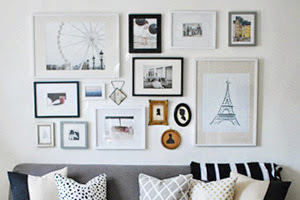 Your apartment will look beautiful, calm and inviting.